Abtec, Inc. has a documented quality system designed to be compliant and certified to ISO 9001:2015. 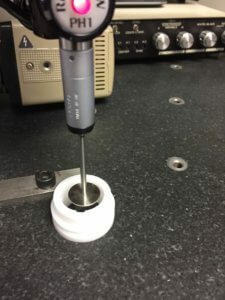 We ensure the quality of your molded parts from conception to completion. With feasibility studies, design reviews, process capability studies, preventative maintenance and training, we prevent problems before they arise. Success comes from taking care of the little things while not losing sight of the over-all-picture. Attention to details is the difference between compliant and complaint. Satisfying our customer’s molding needs is our foremost occupation. This requires a program of continuously improving the process, the product, and the people. Our customers expect nothing less and it’s the only way we know to do business. Abtec, Inc., as a custom molder, customizes its systems to meet the customer’s requirements, providing as much or as little inspection as your product deserves at cost effective prices. Our state-of-the-art inspection department is fully equipped with the latest in mechanical measuring devices and supporting software to provide for accurate and repeatable dimensions. 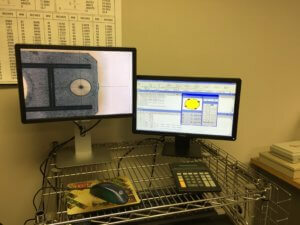 Mitutoyo CMM with ROI Optical Video Probe and SPC software.